This is the last episode in our "Get to Know Us" series, and Nicole & Kara are putting a nice little bow on it. They have loved sharing their heart with you all, and it shows! They are ending the series by talking about where their minds and hearts are at. Nicole & Kara will talk about how they feel about the issues they are covering on the blog, Simply Whole Moms. Tune in as they discuss the mom community, the adventure of motherhood, and giving yourself and other moms grace. 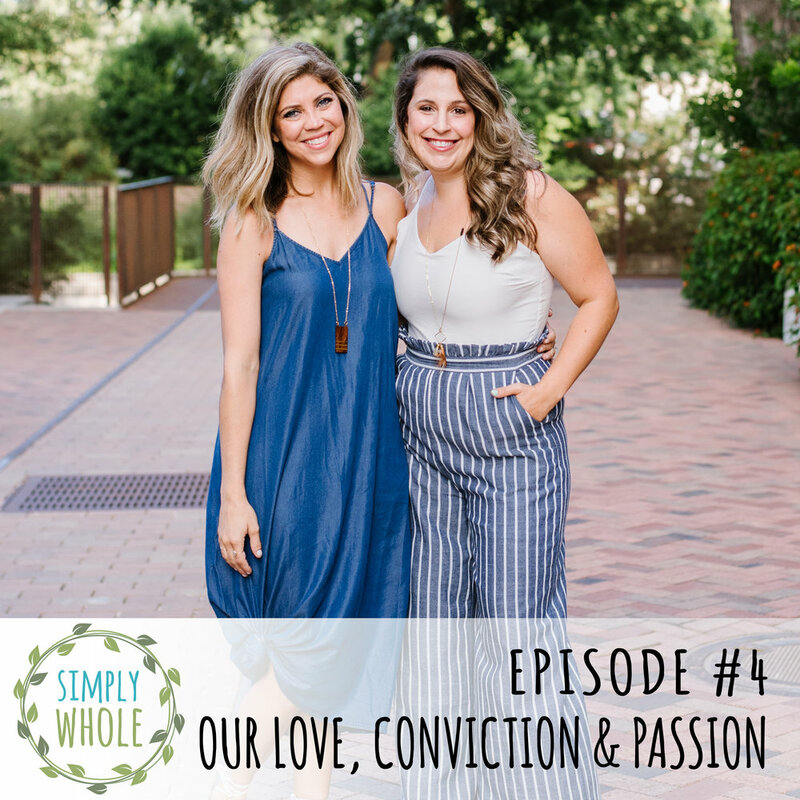 They deep dive into their heart passions of nutrition, ethical fashion, and living a simple whole life with chronic disease. Their hearts come across in a genuine way, as they are transparent about where they stand on issues that are important to them. Go find your tribe. Look at local churches, MOPS, playgrounds, Facebook groups! Eating healthy food has to be simple. Kara really does want to let you into the a place she considers sacred, her kitchen table. Ethical fashion is so much more than who you buy from, it is about changing how you consume. Lastly, they discuss how they are living a simply whole in the middle of chronic disease.